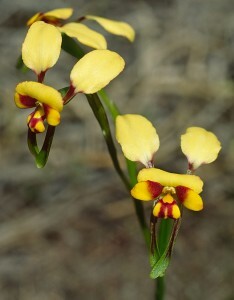 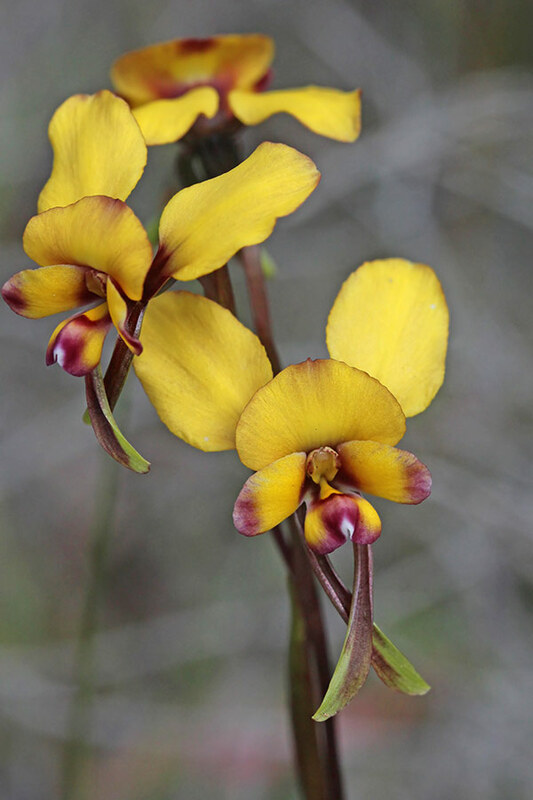 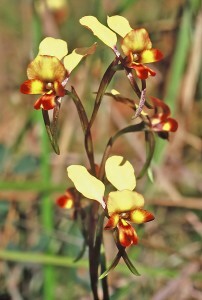 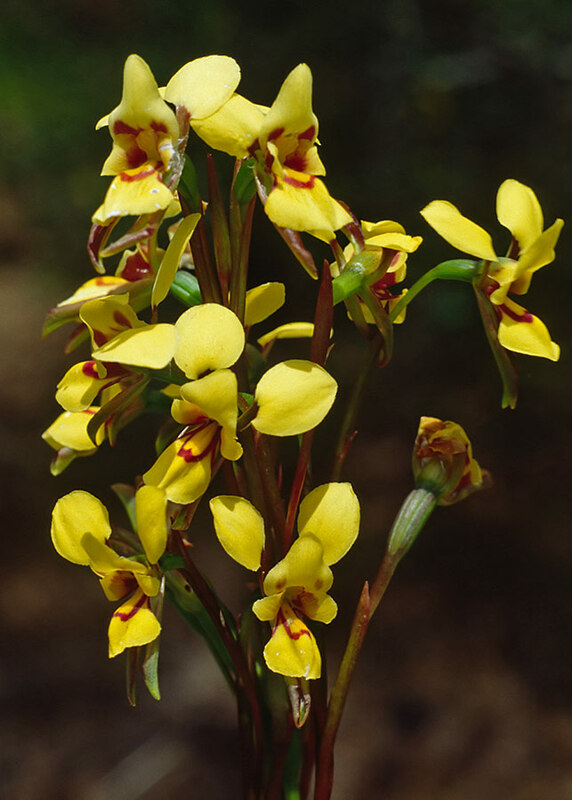 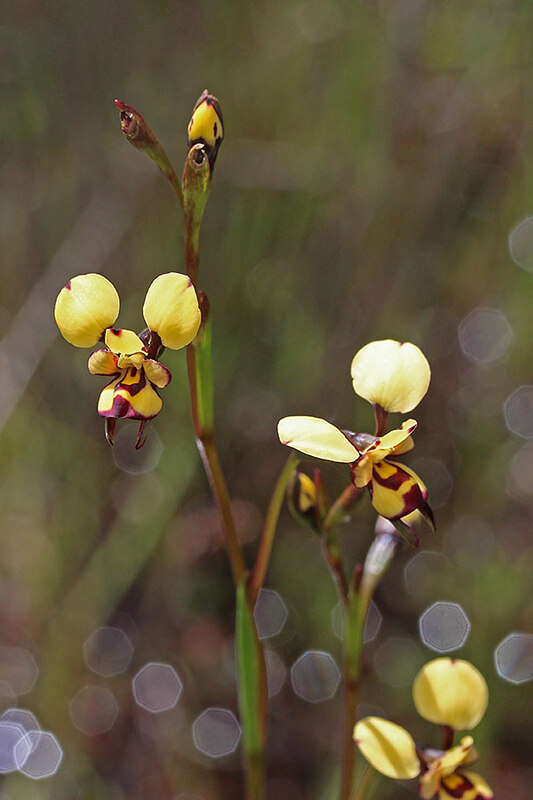 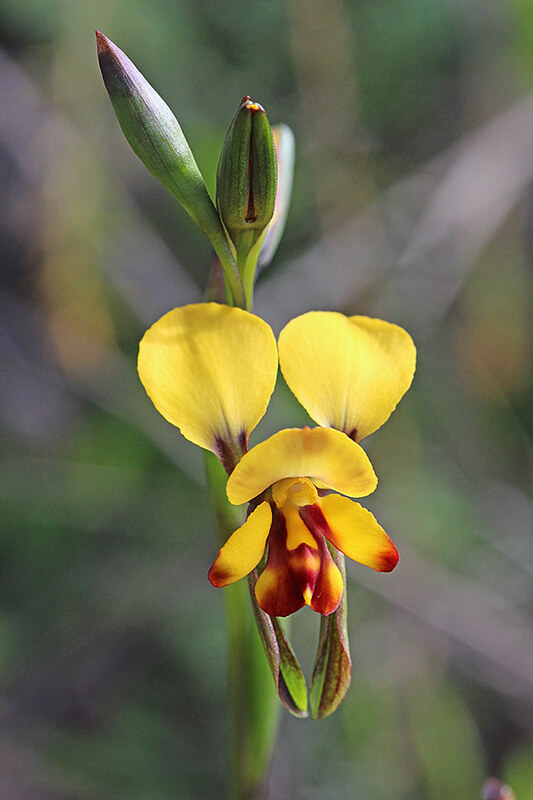 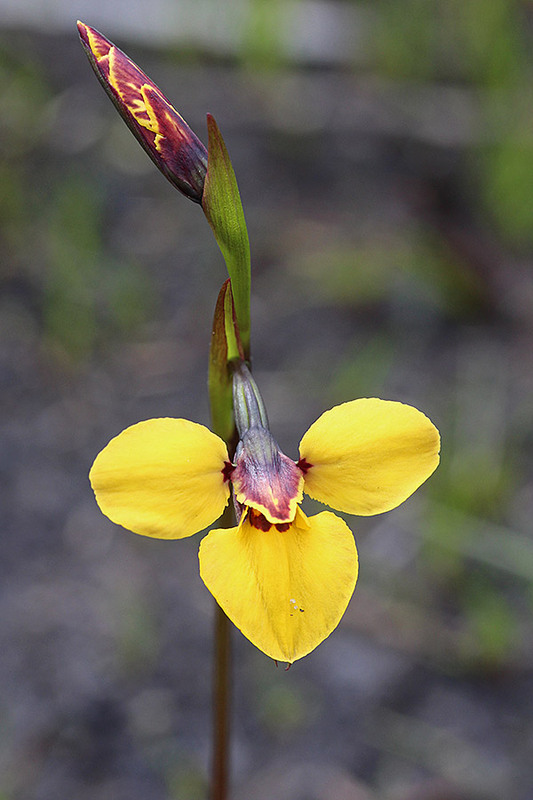 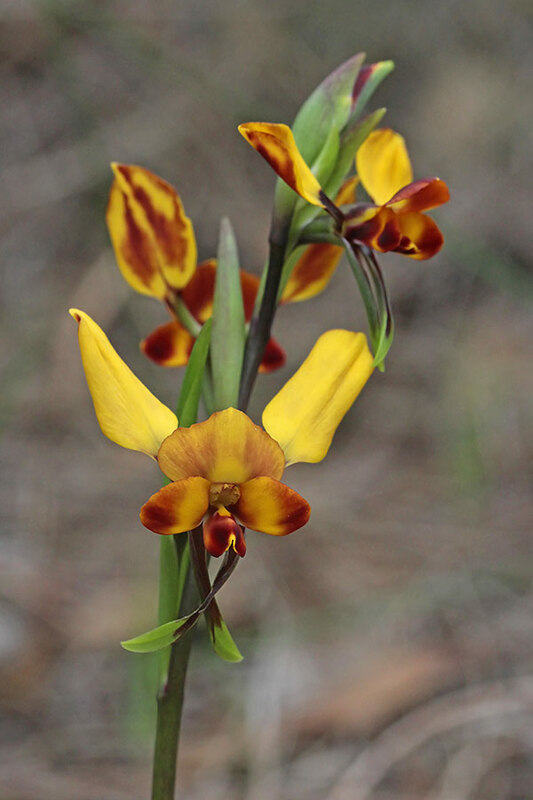 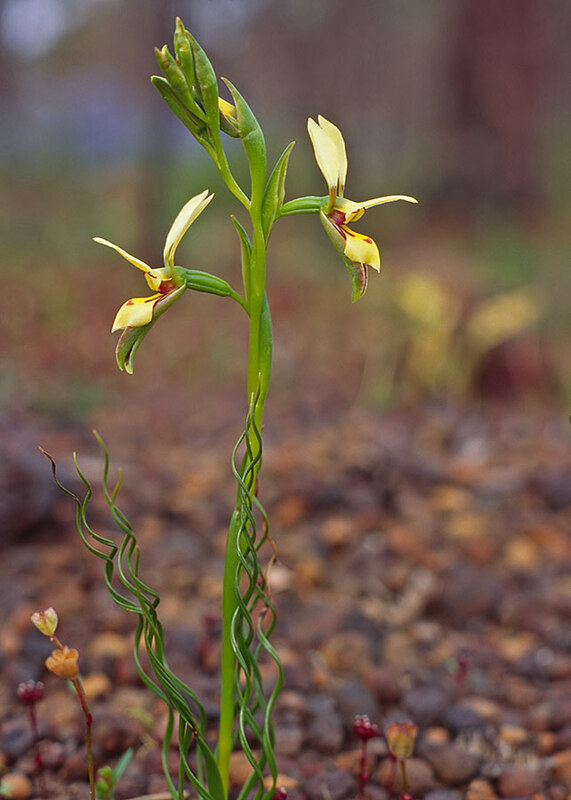 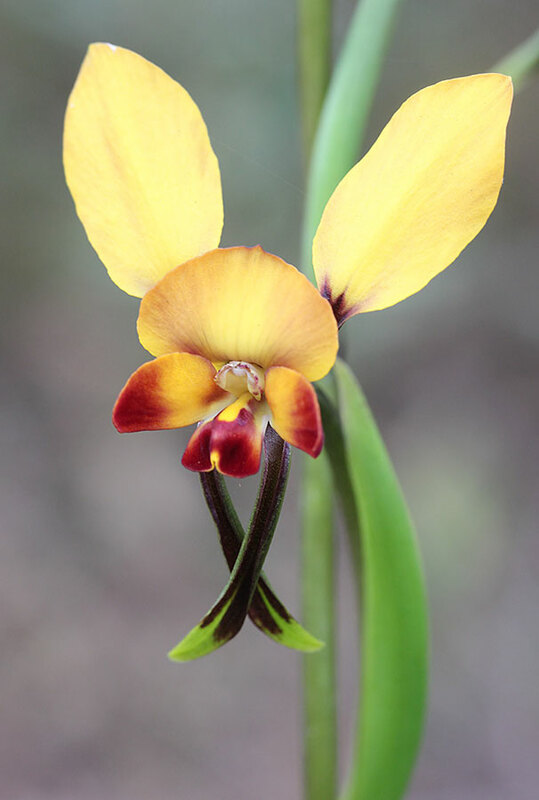 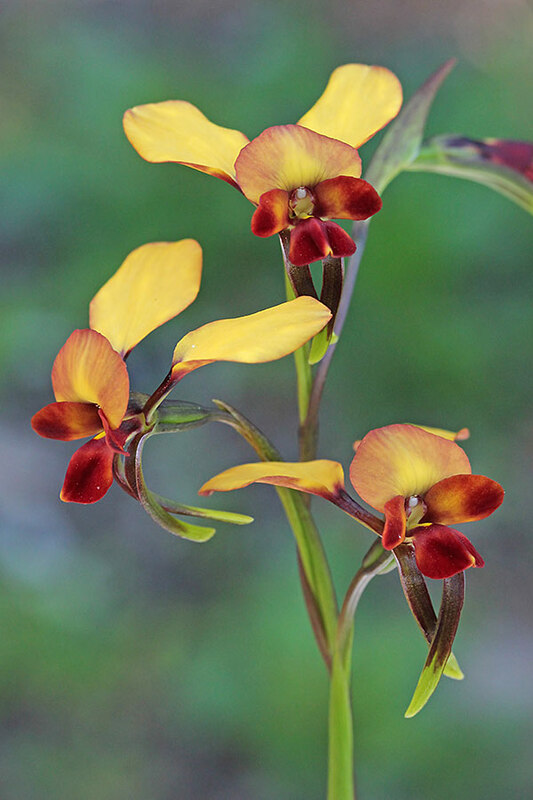 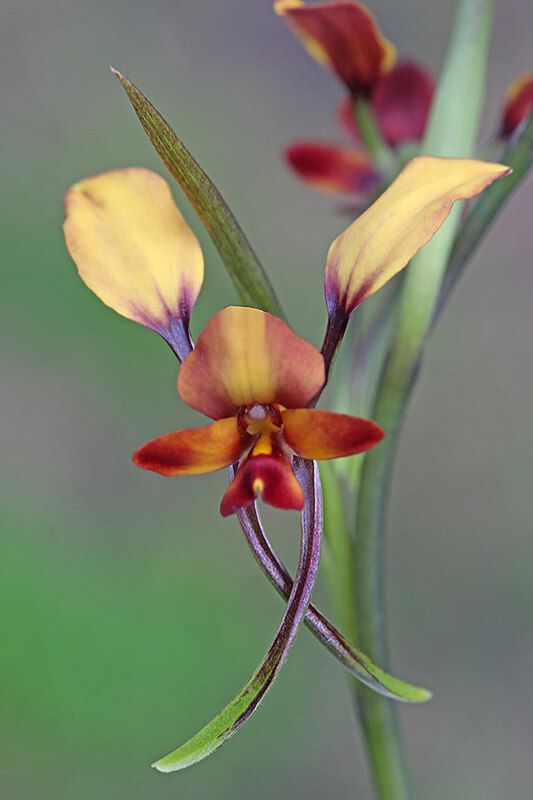 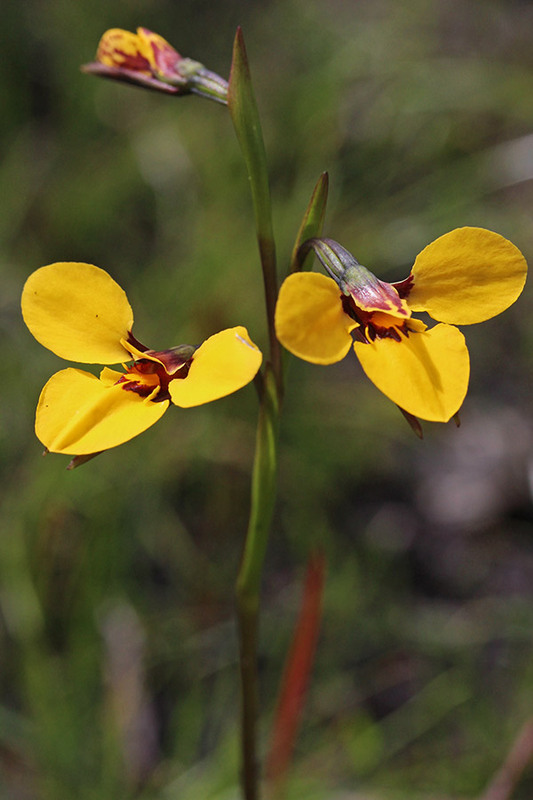 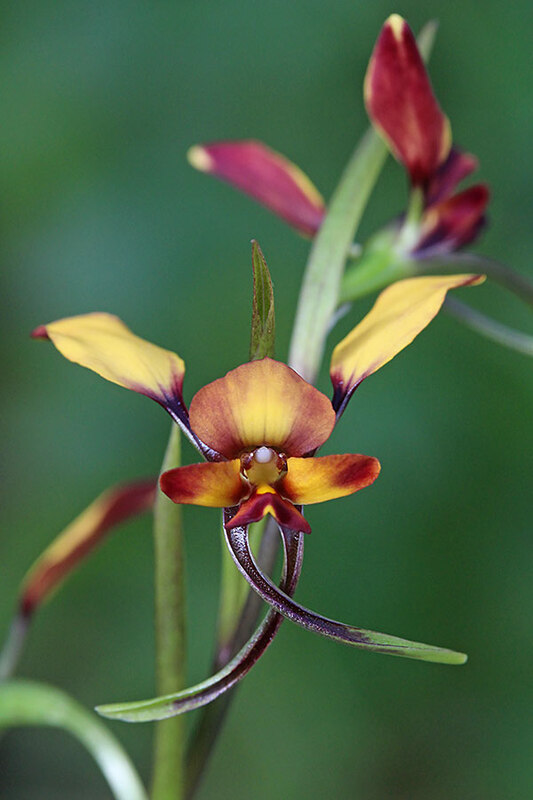 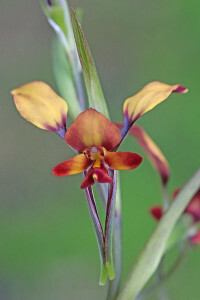 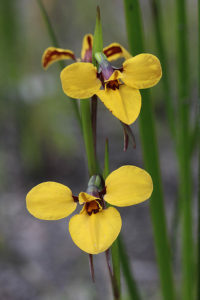 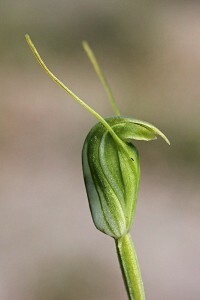 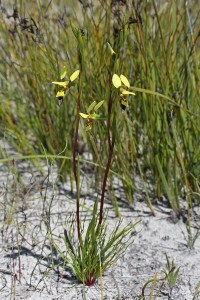 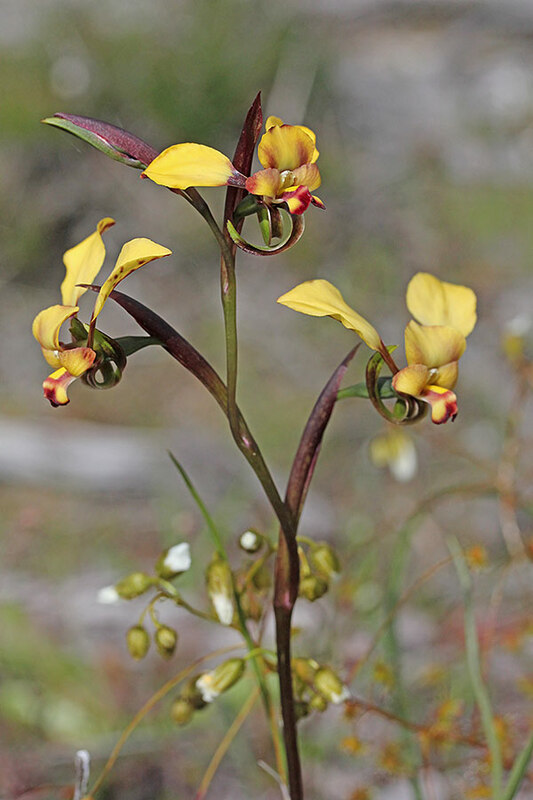 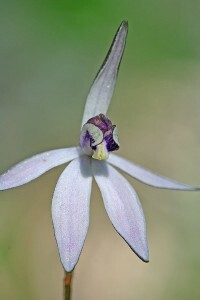 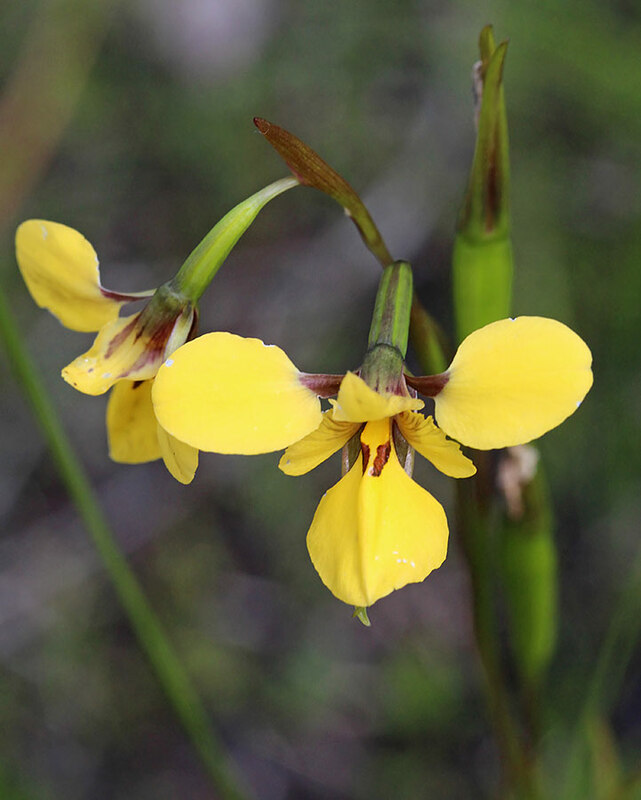 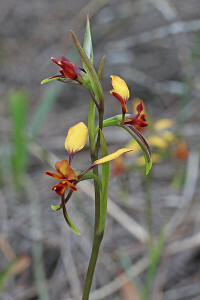 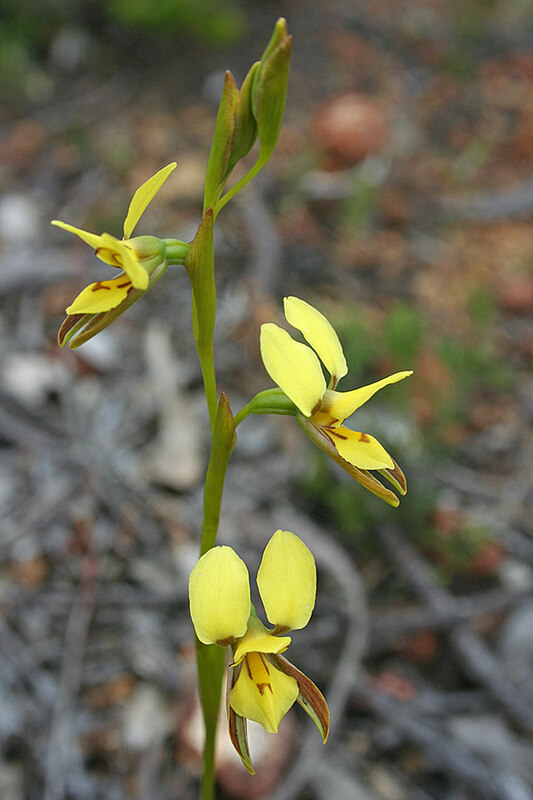 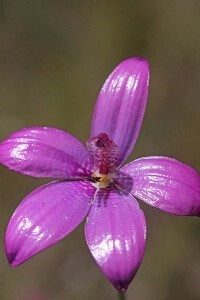 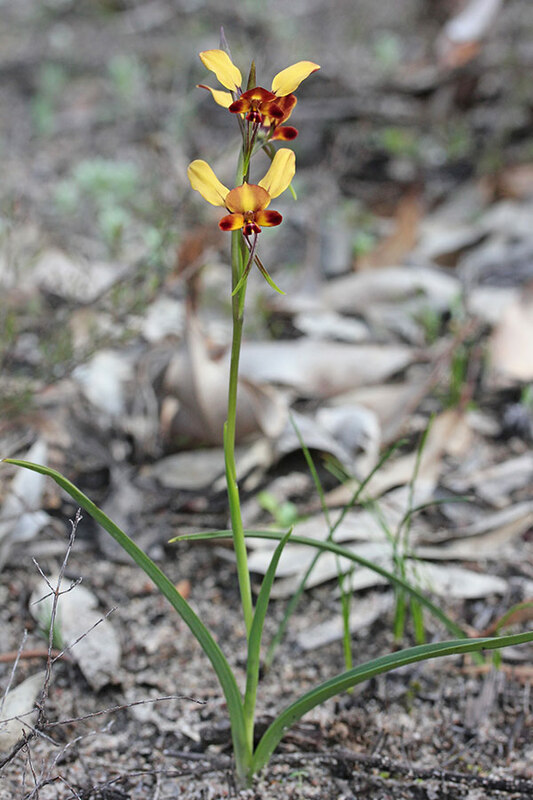 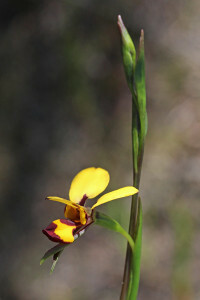 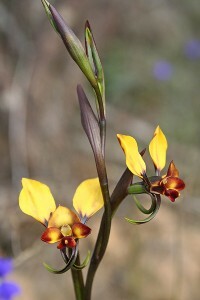 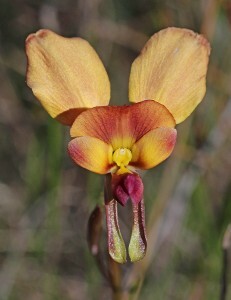 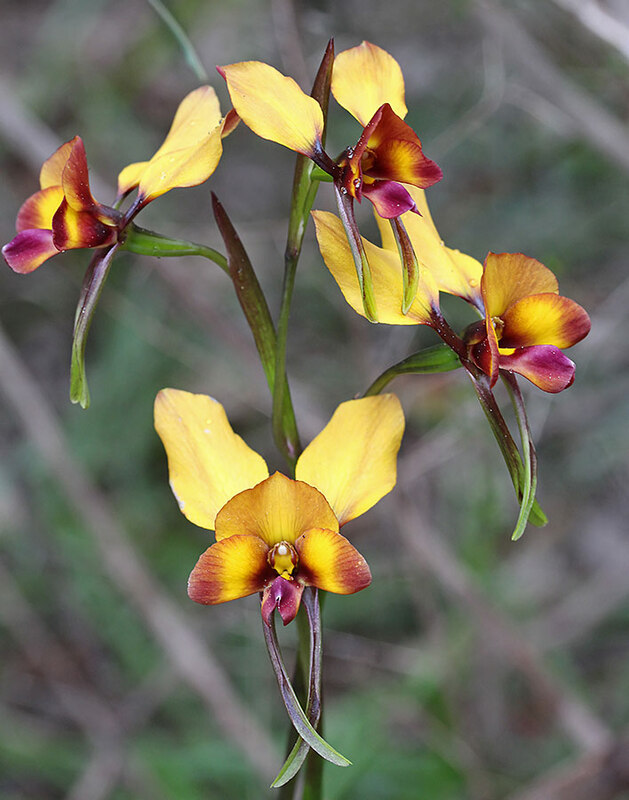 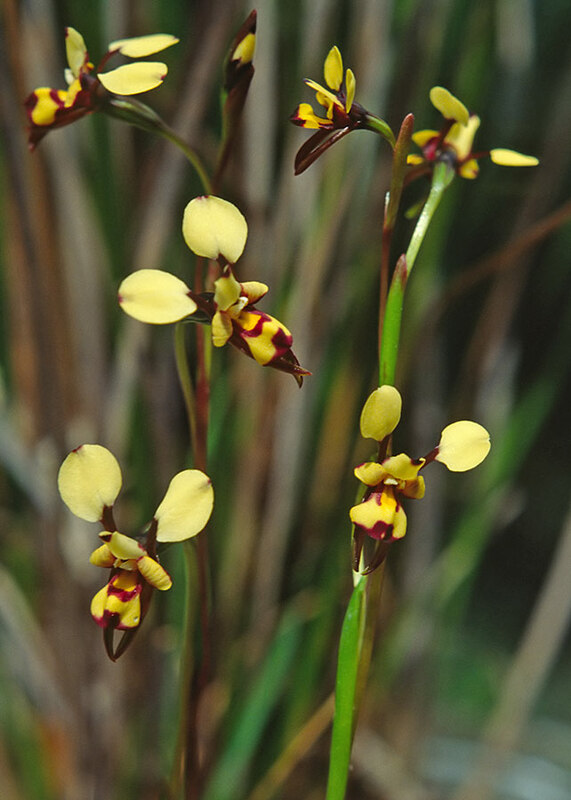 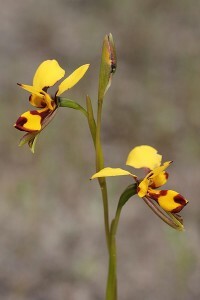 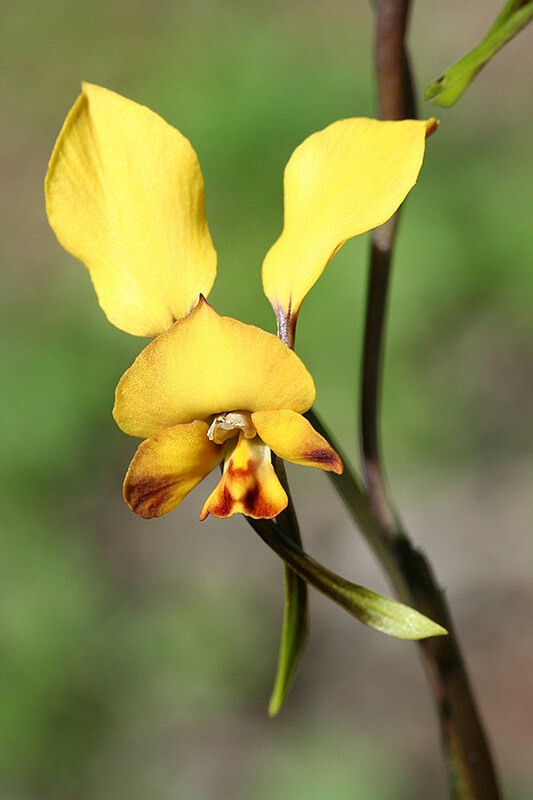 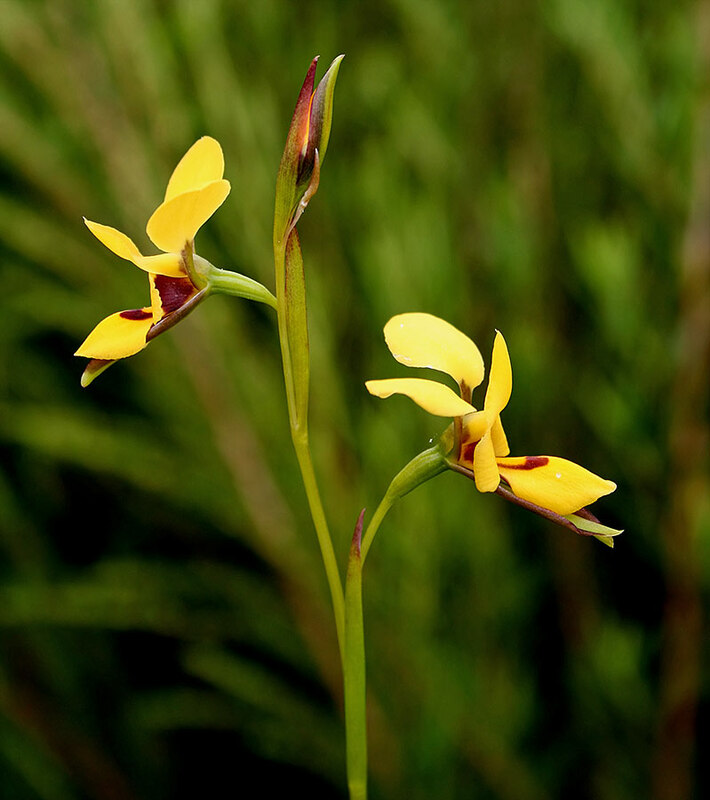 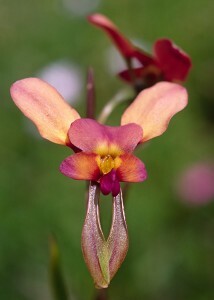 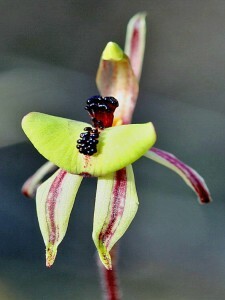 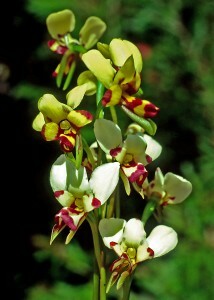 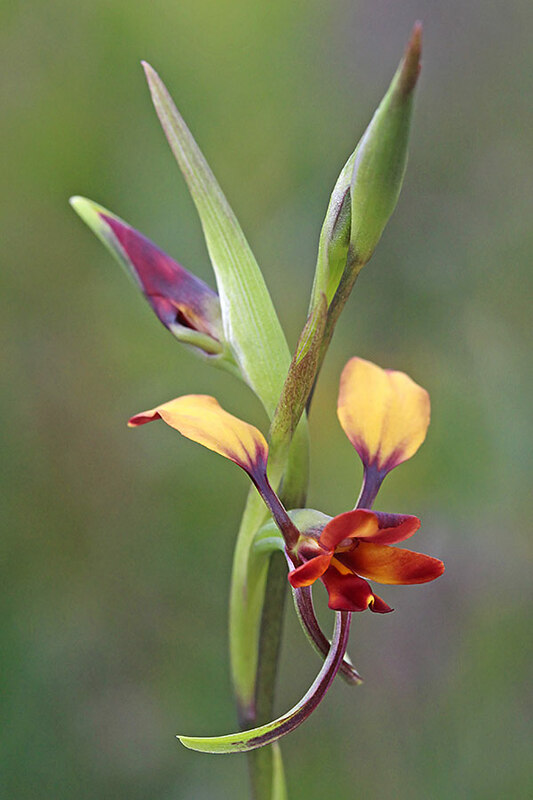 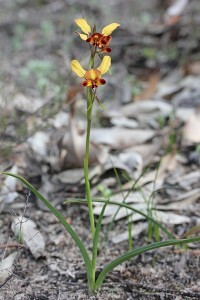 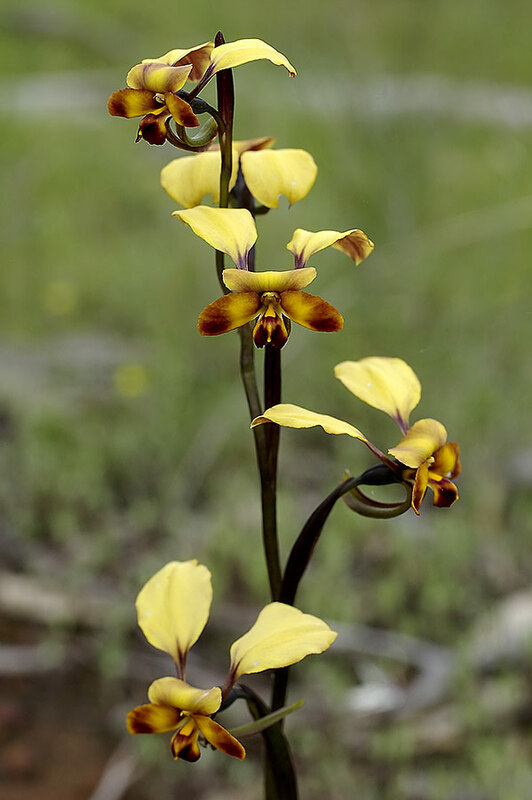 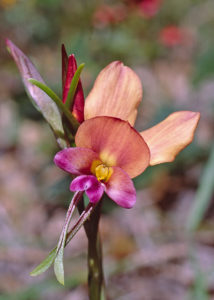 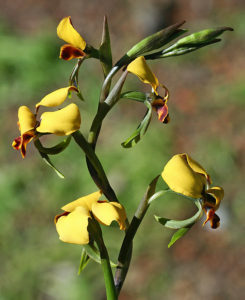 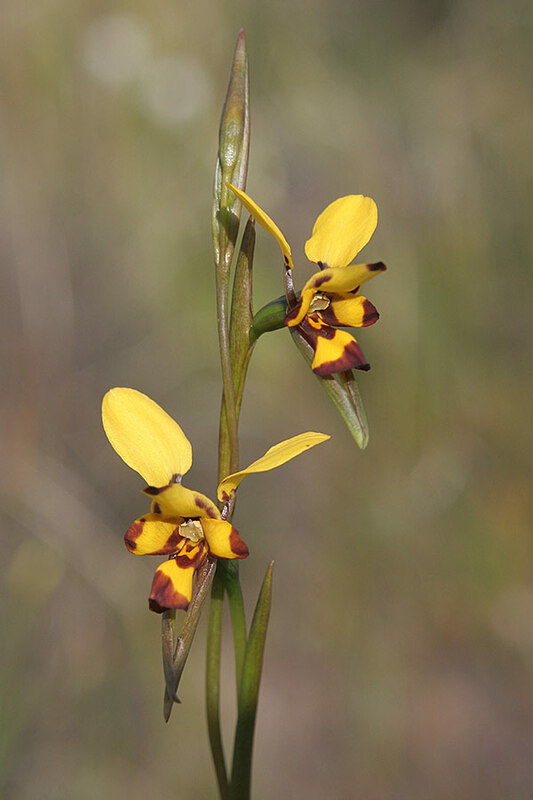 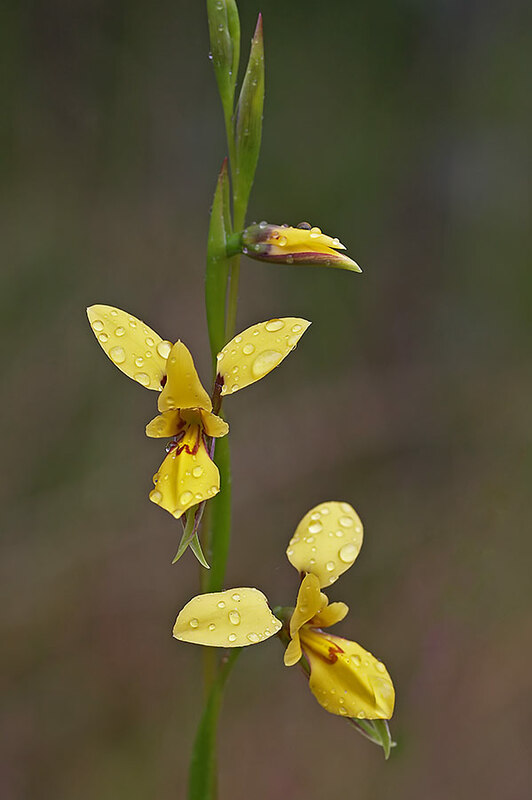 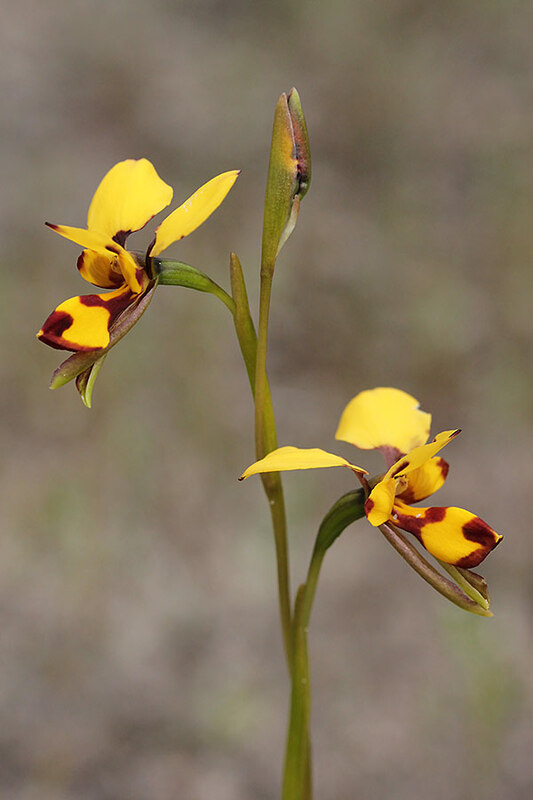 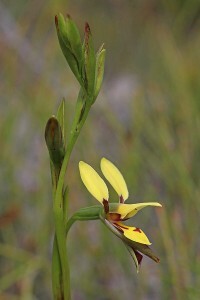 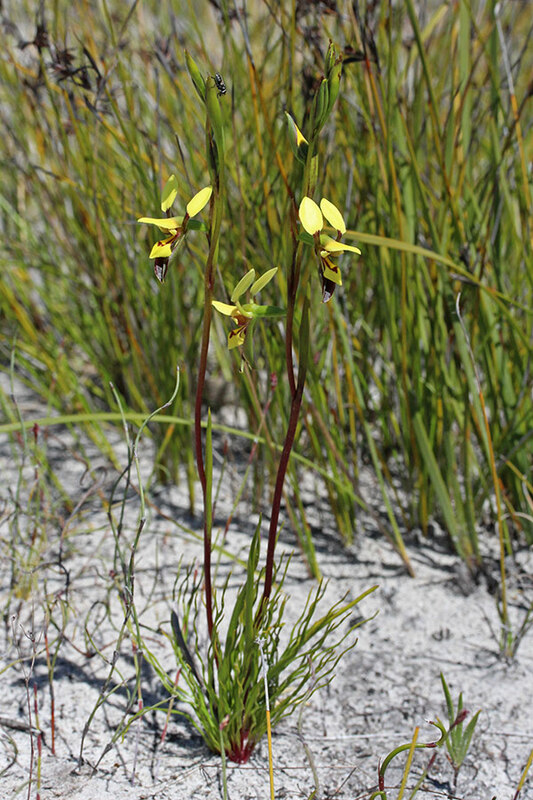 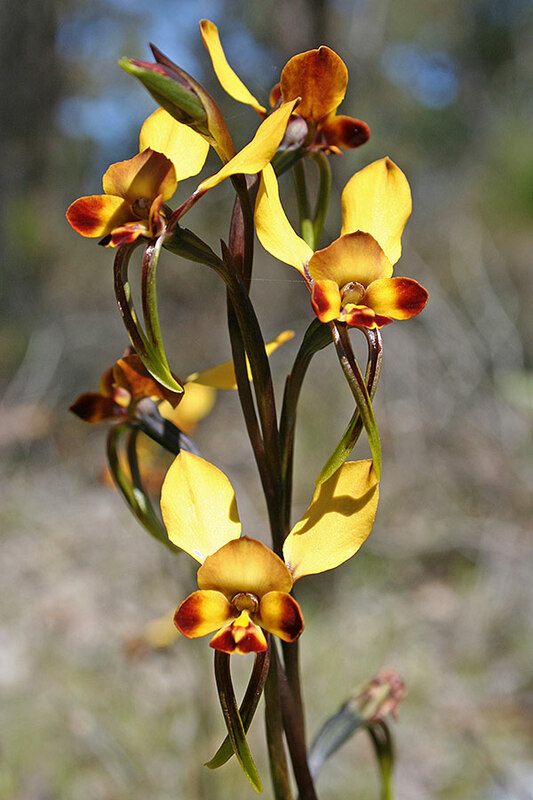 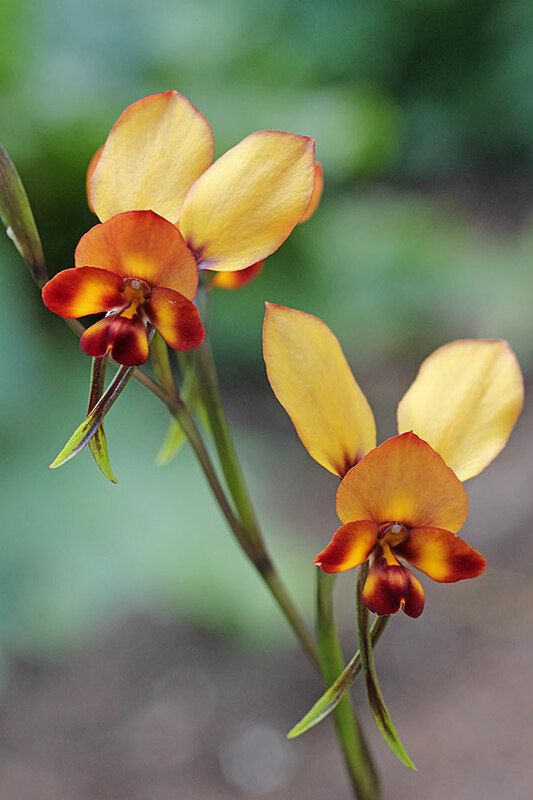 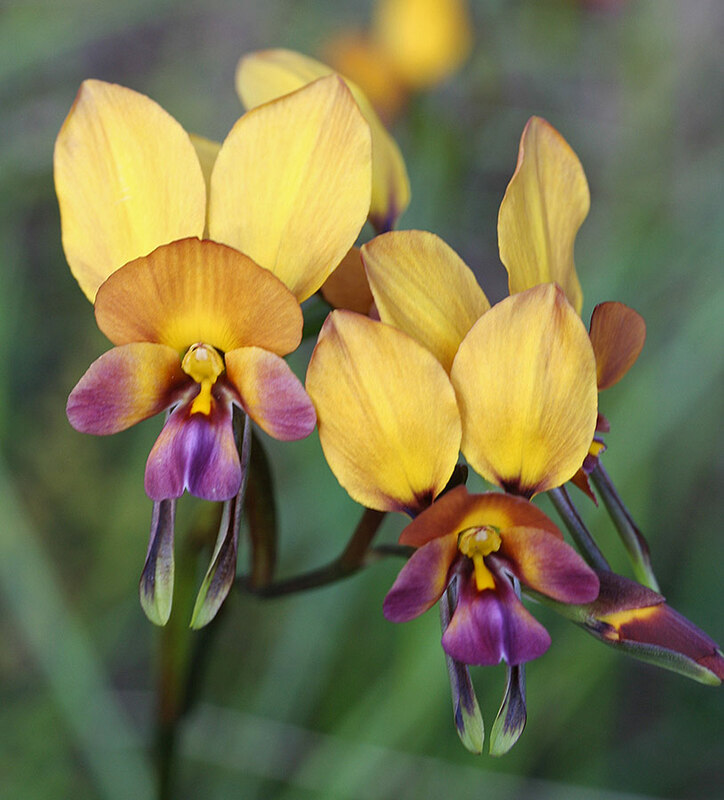 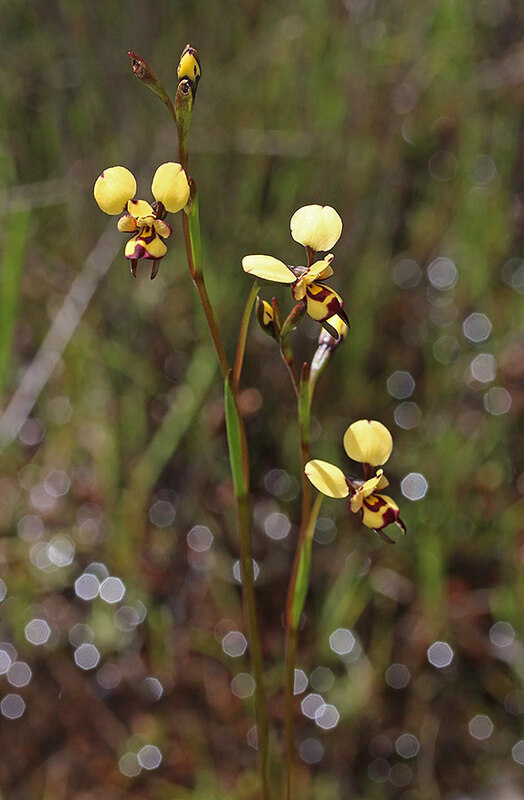 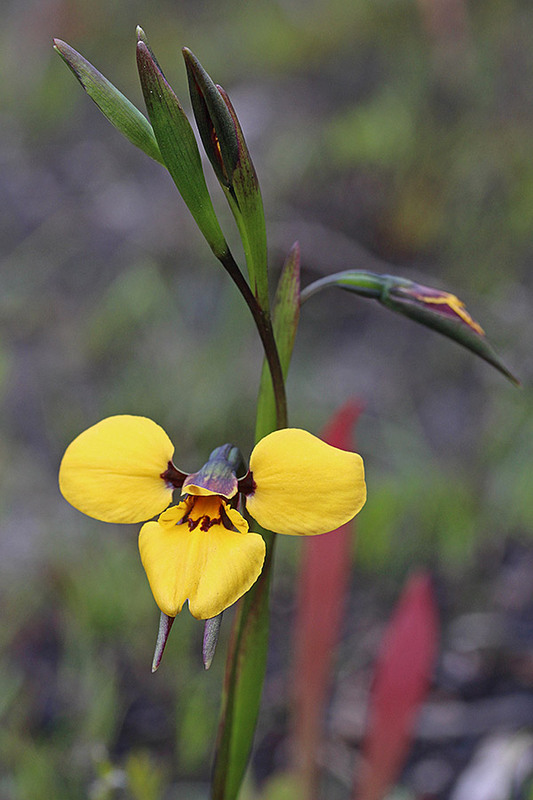 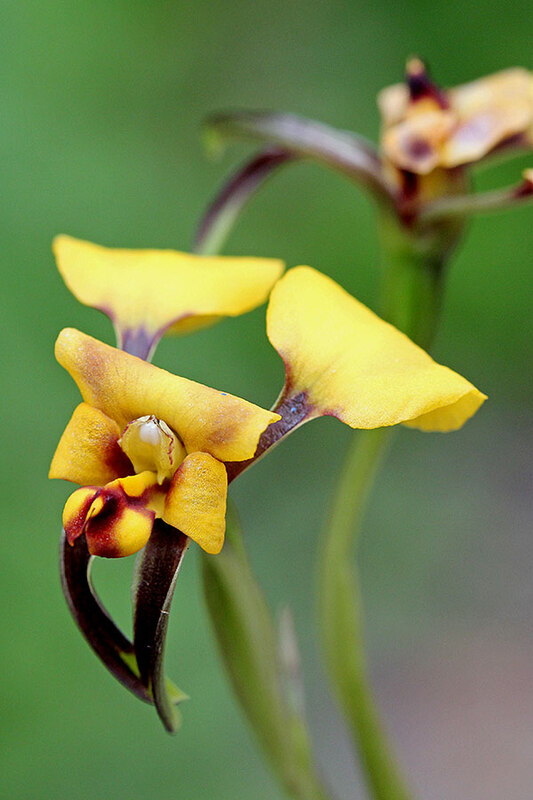 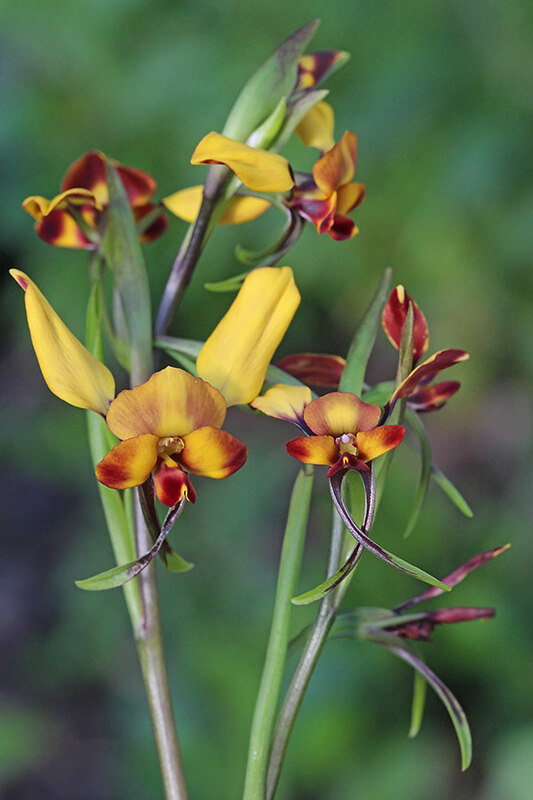 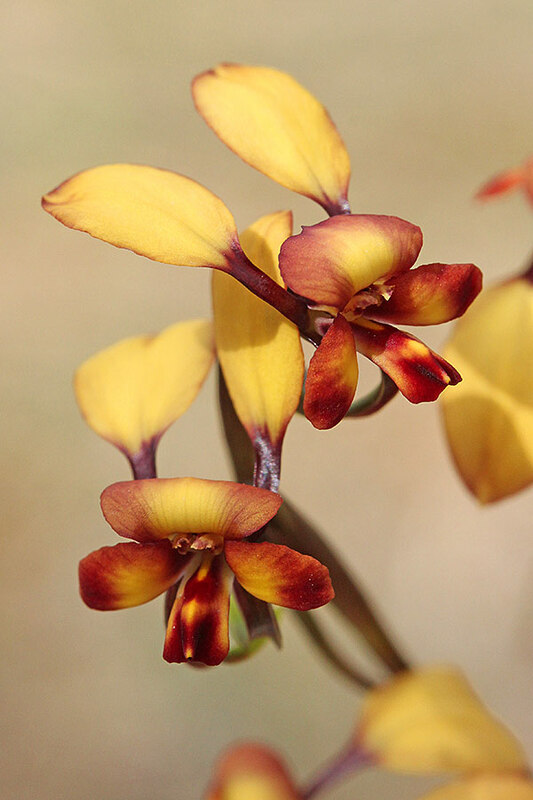 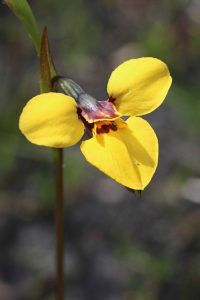 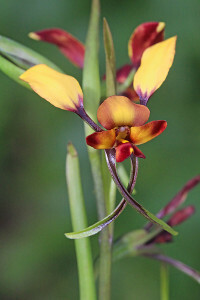 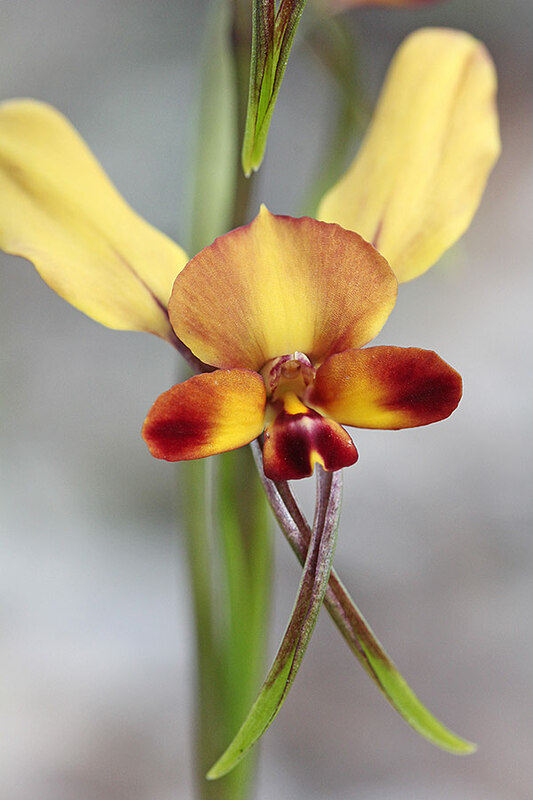 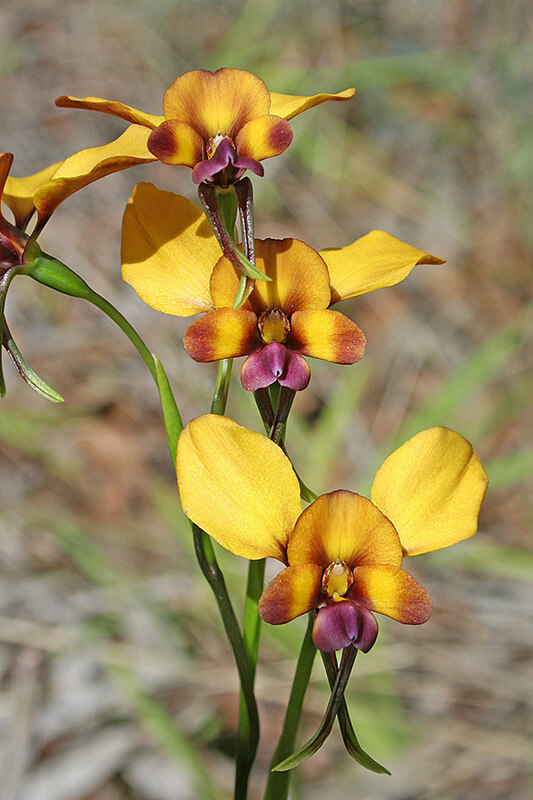 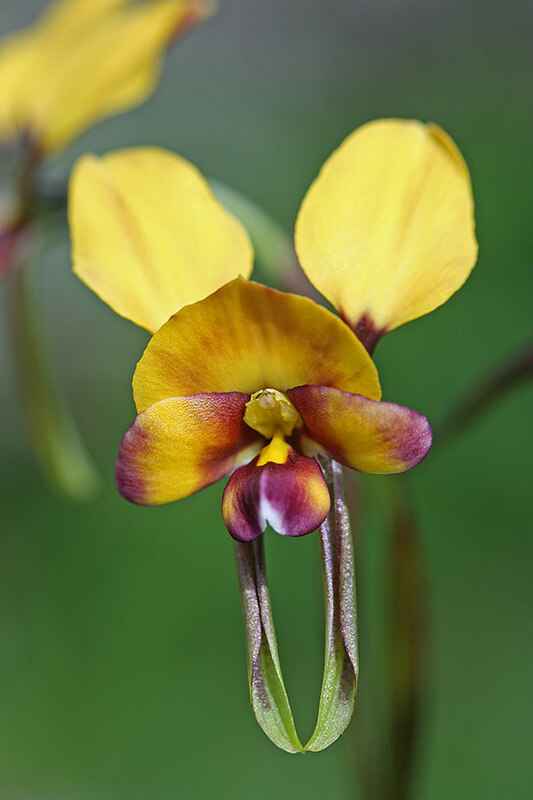 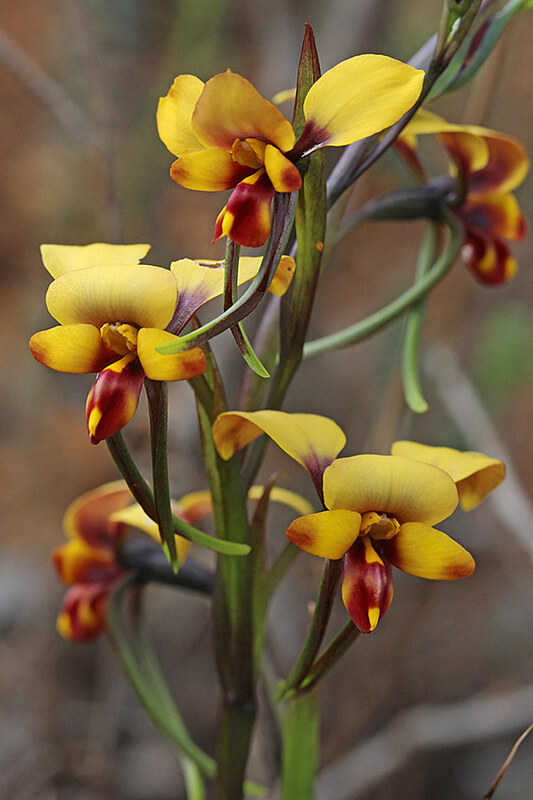 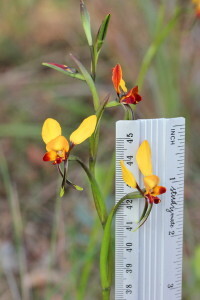 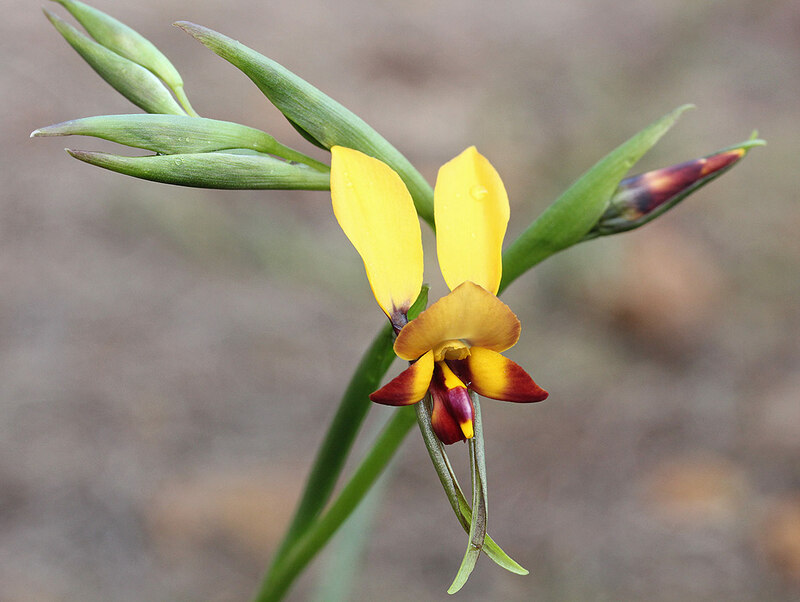 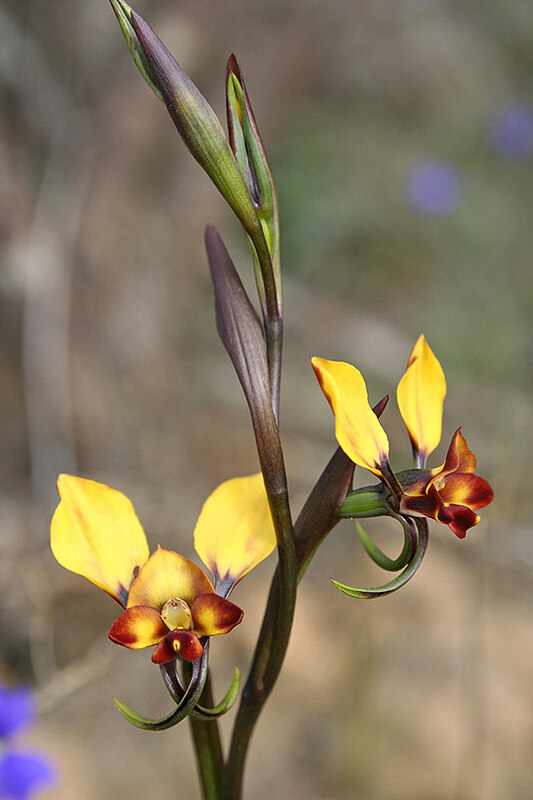 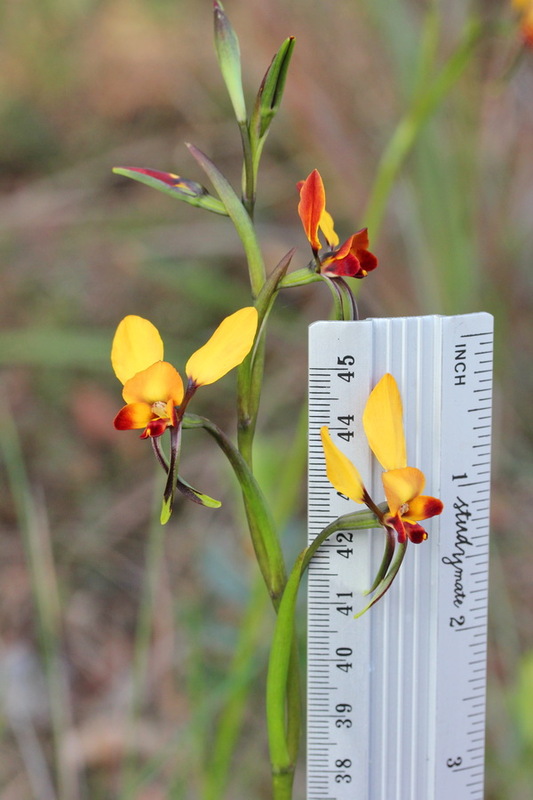 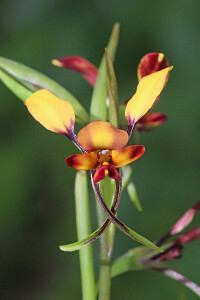 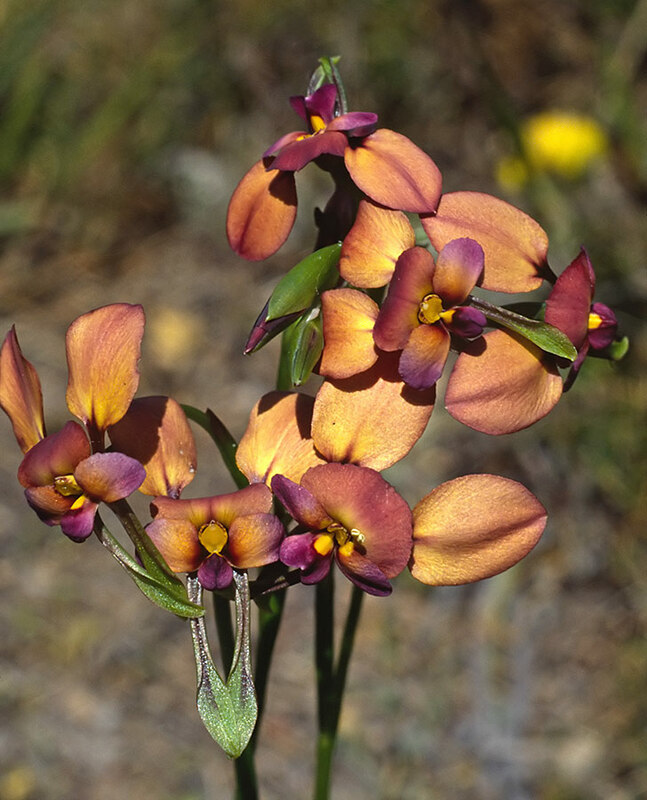 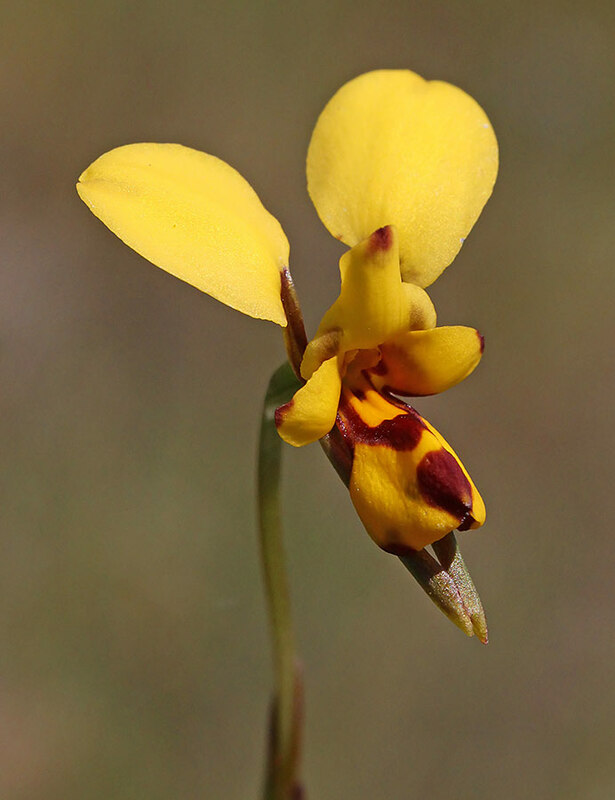 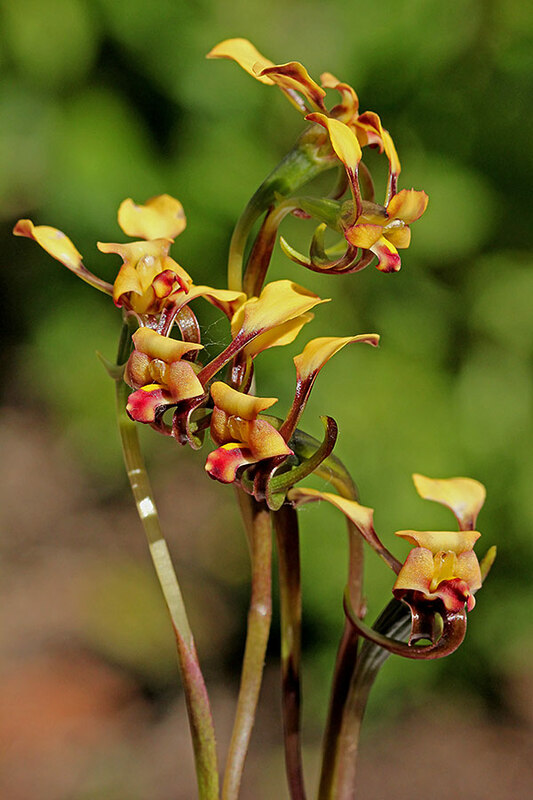 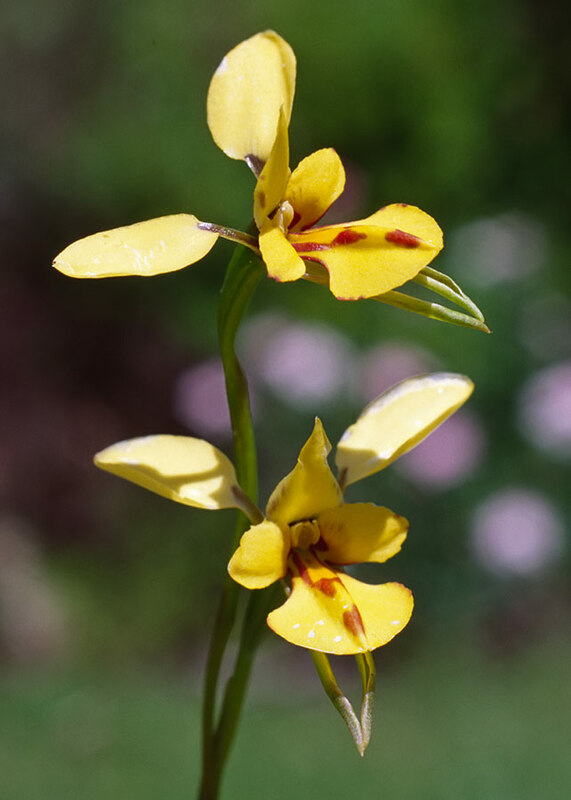 The name Diuris, meaning double-tail, refers to the hanging lateral sepals, however, the orchids are more readily recognised by their ear-like petals which lead to the common name of Donkey Orchid. 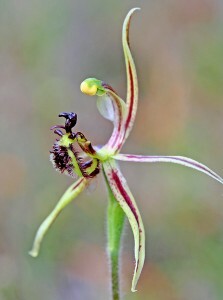 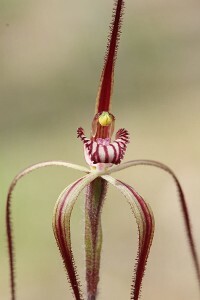 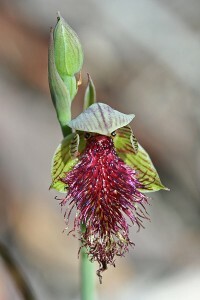 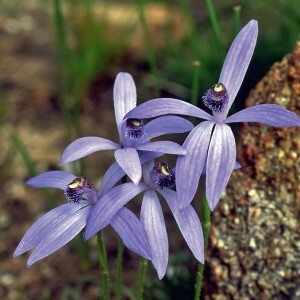 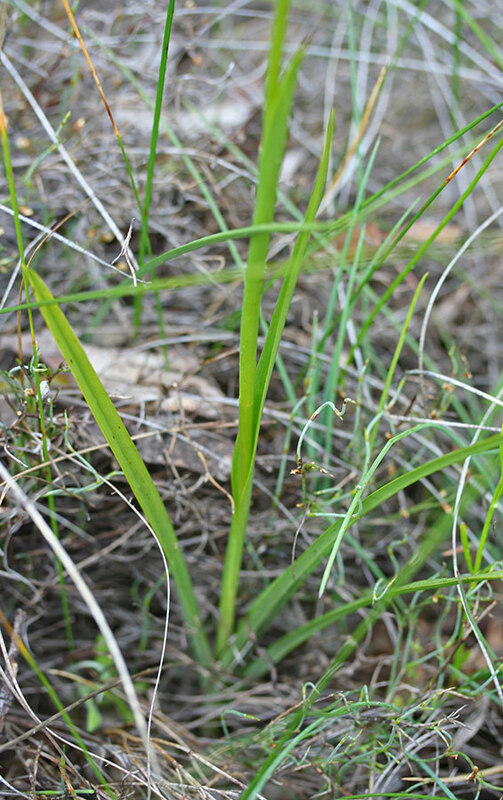 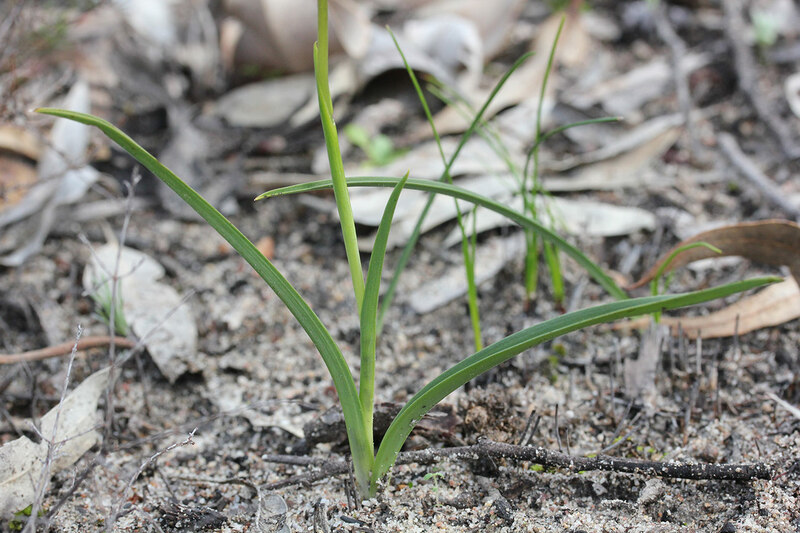 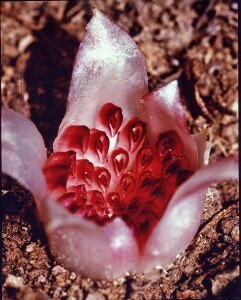 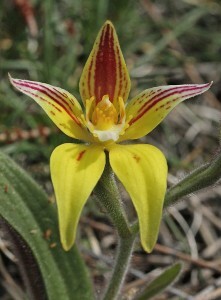 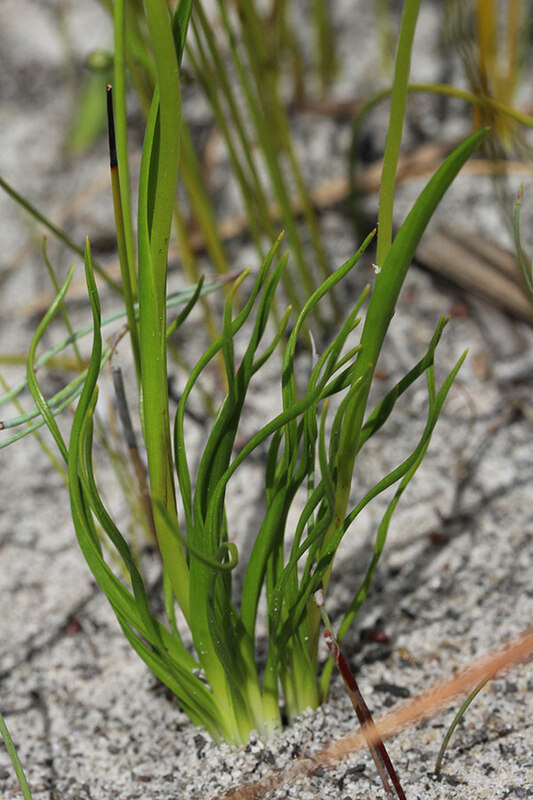 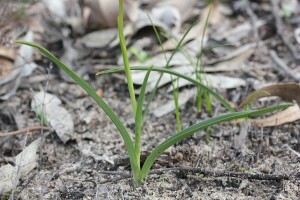 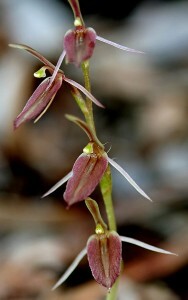 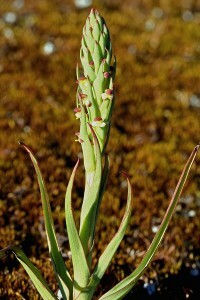 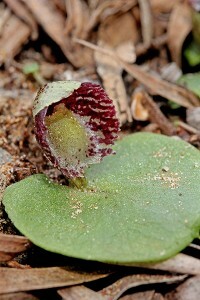 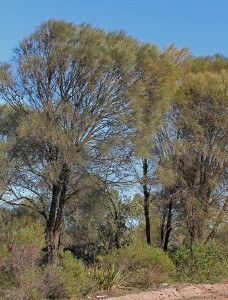 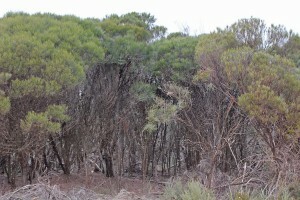 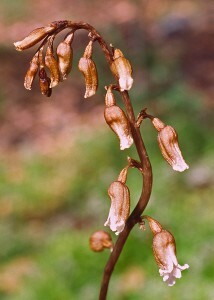 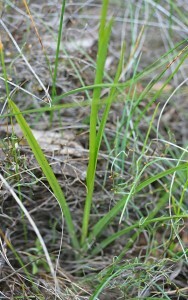 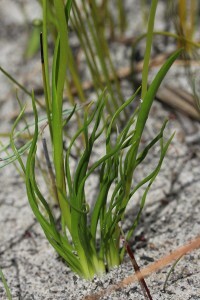 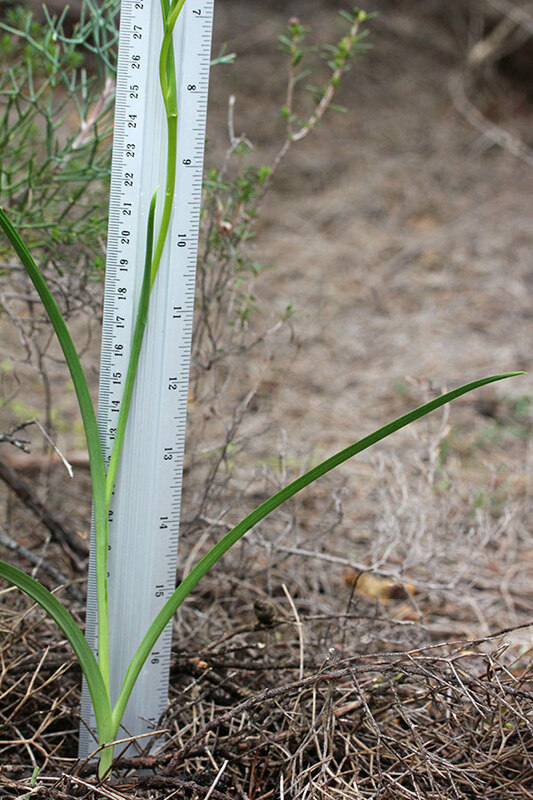 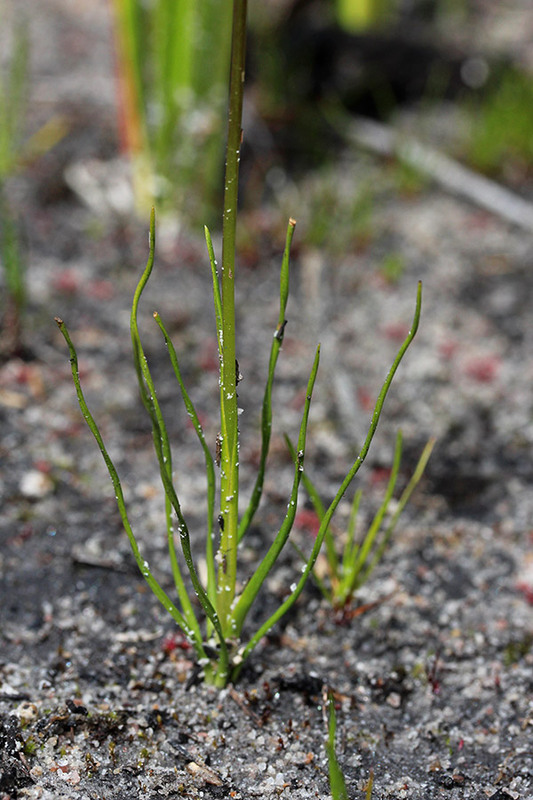 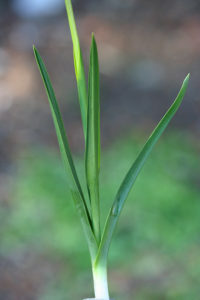 All species have grass-like leaves and most have predominantly yellow flowers with red, brown or purple markings. 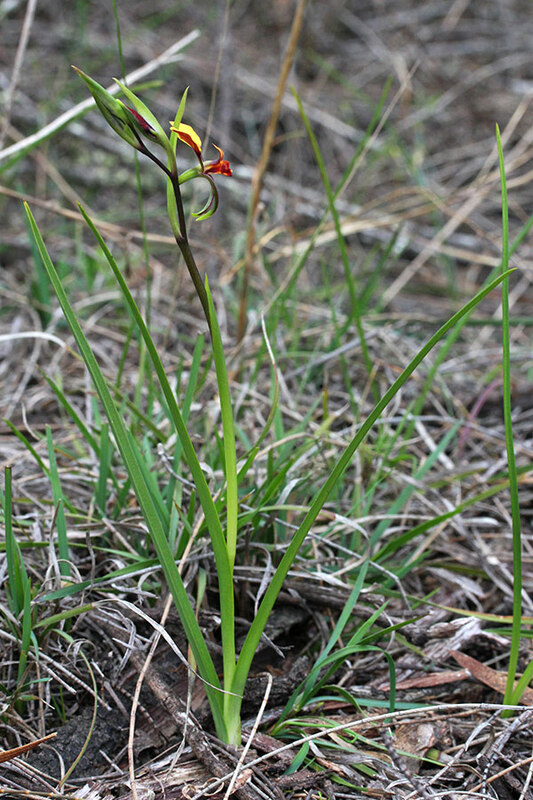 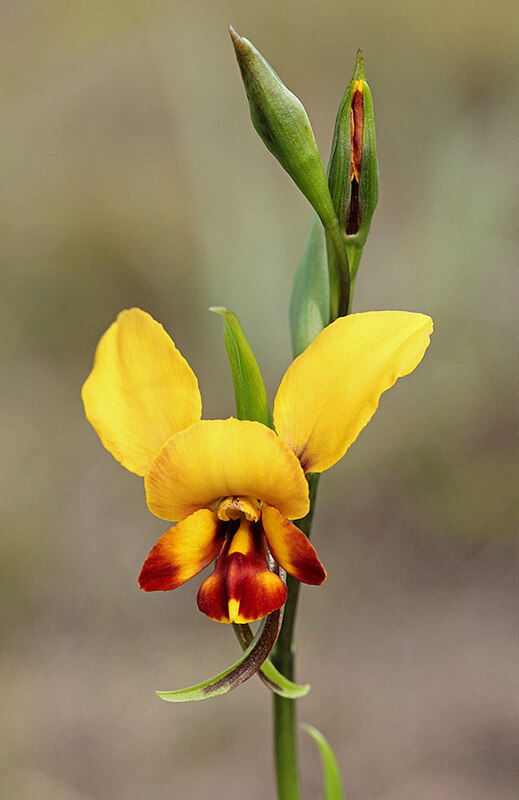 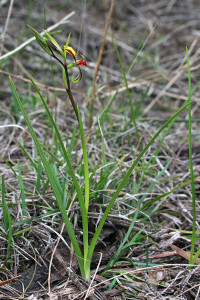 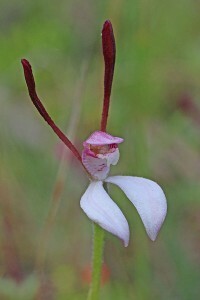 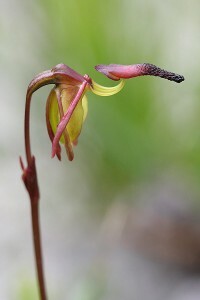 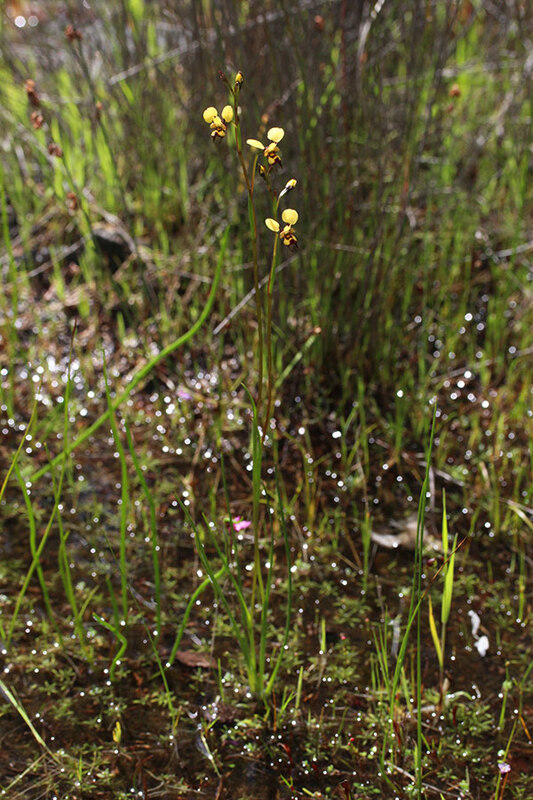 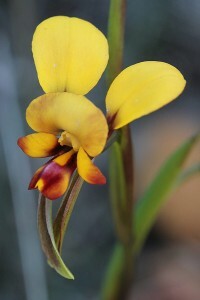 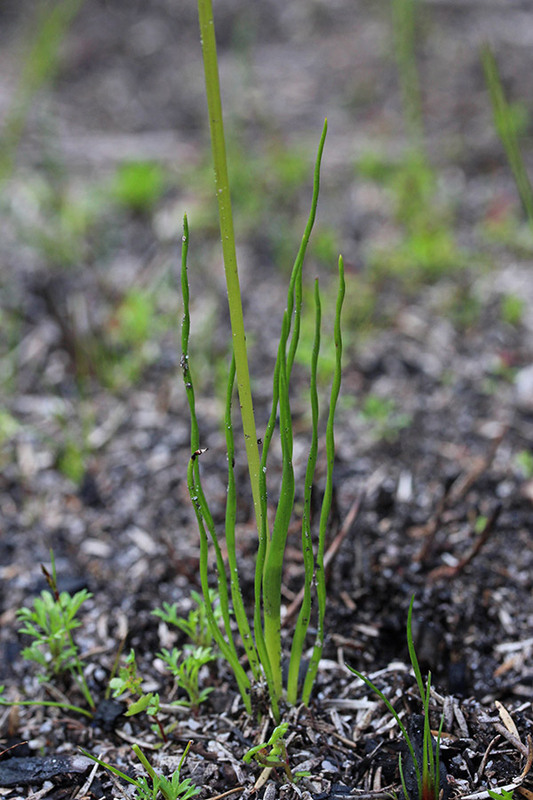 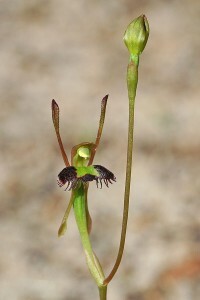 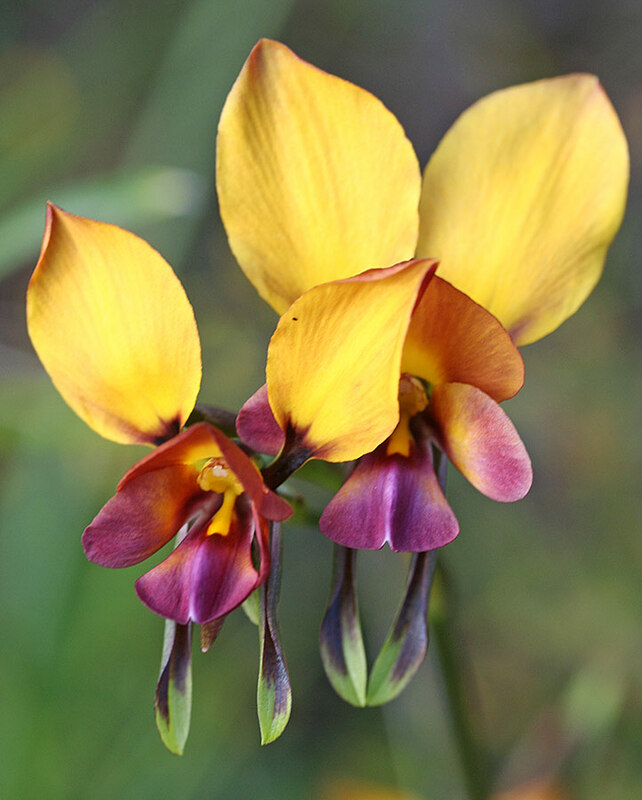 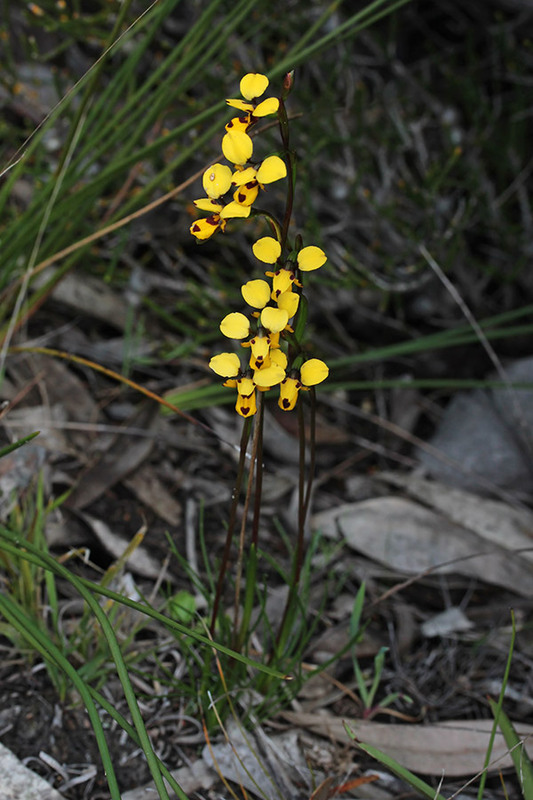 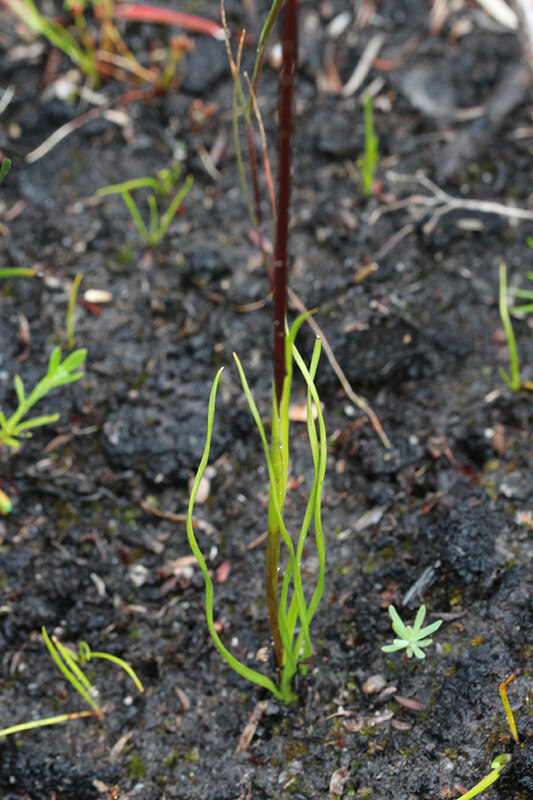 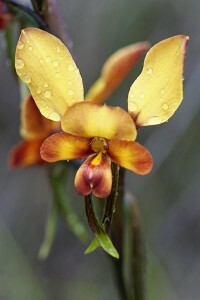 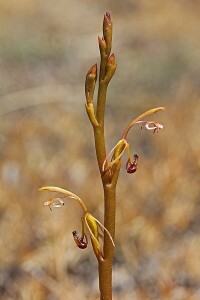 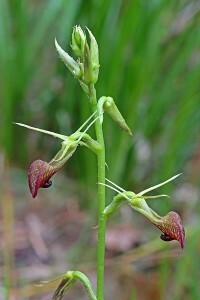 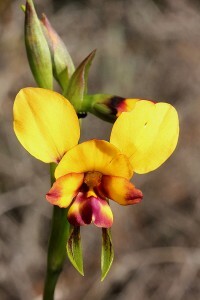 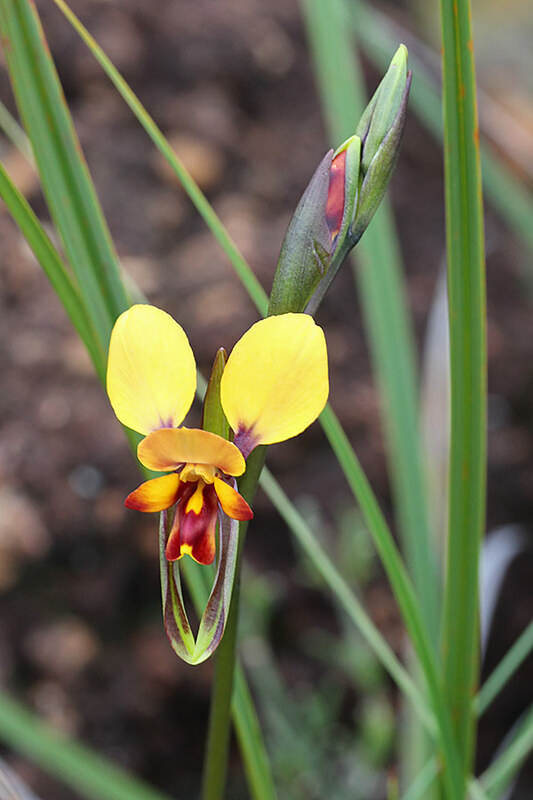 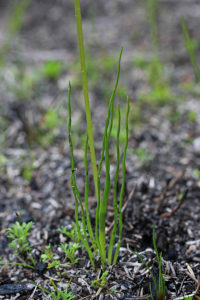 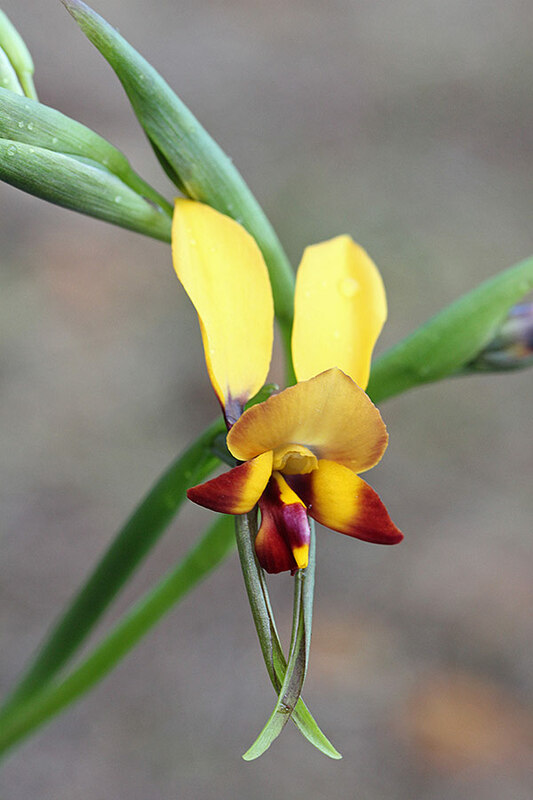 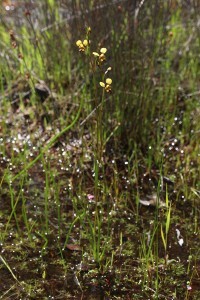 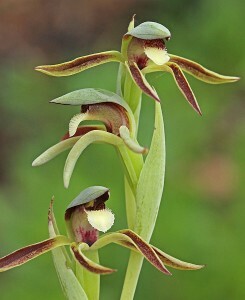 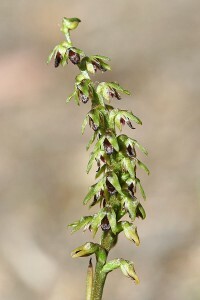 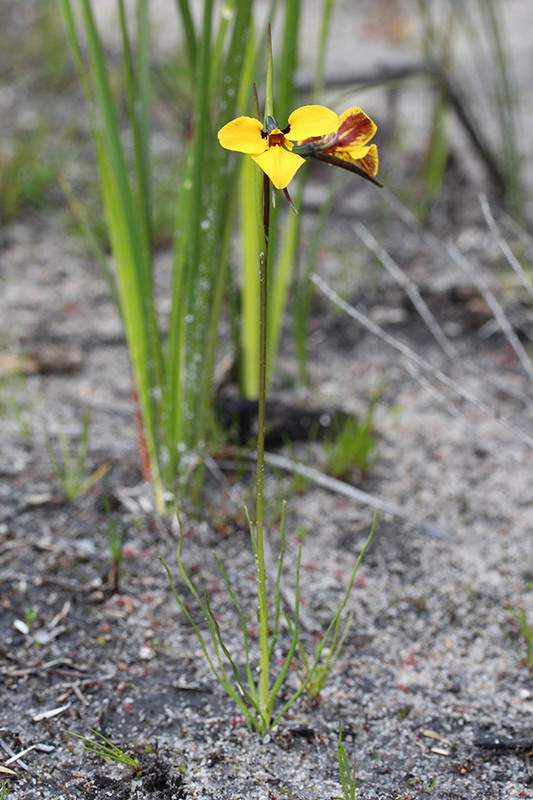 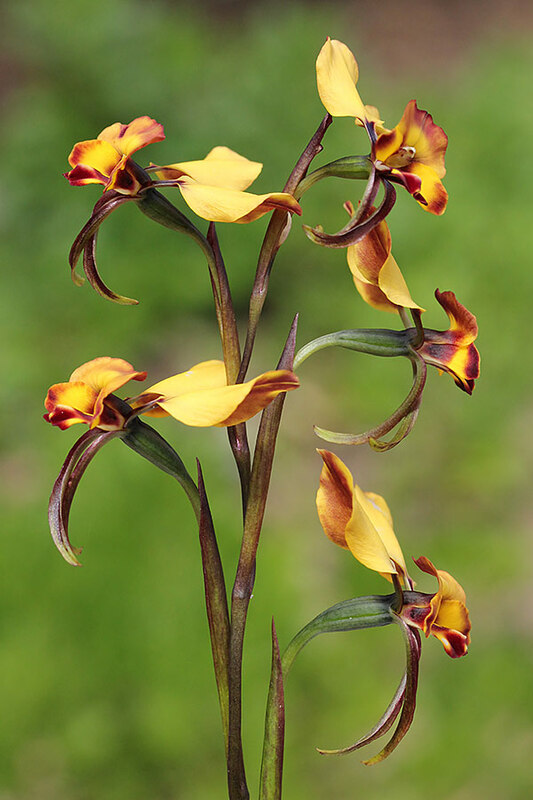 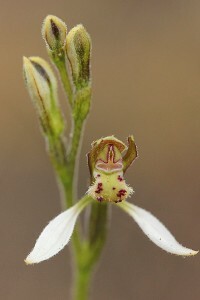 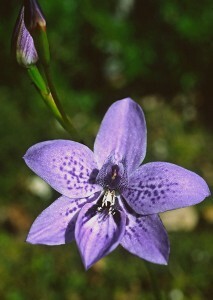 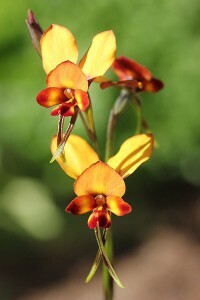 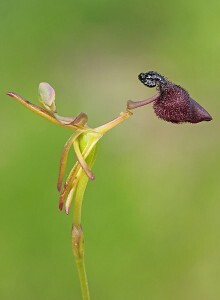 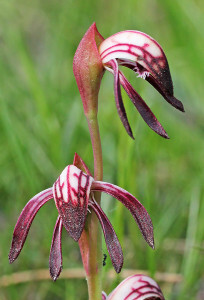 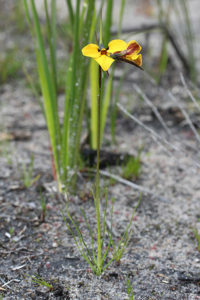 Go to the Unnamed Diuris species page. 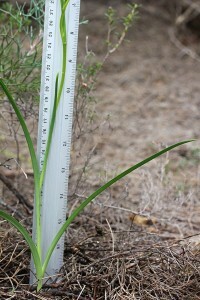 Hi, a quick question. 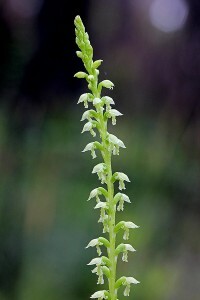 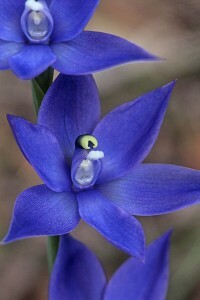 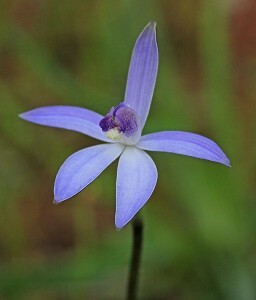 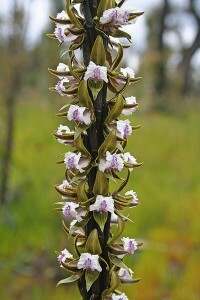 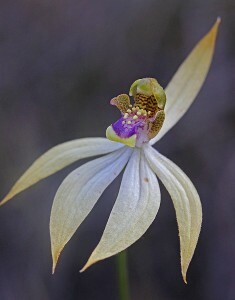 Is it possible to get a blue Donkey orchid?